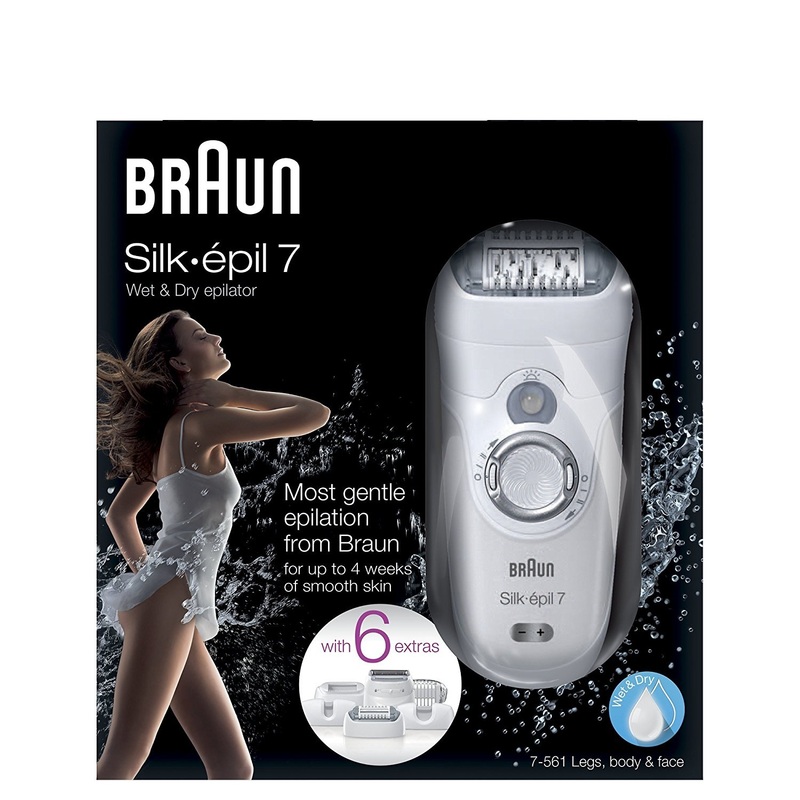 Braun Silk-épil 7 Wet & Dry epilator is most efficient on short hairs and provides a smooth, virtually painless epilation experience with repeated use. 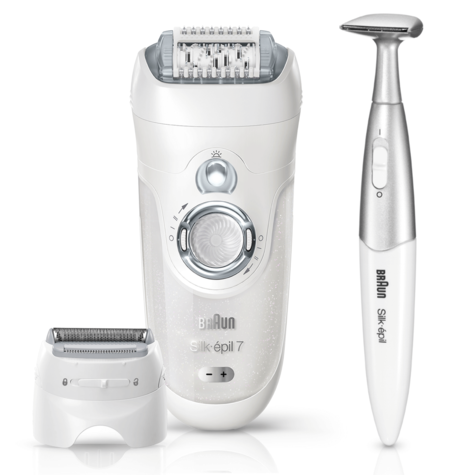 Includes a free bikini trimmer which provides gentle hair removal without waxing. 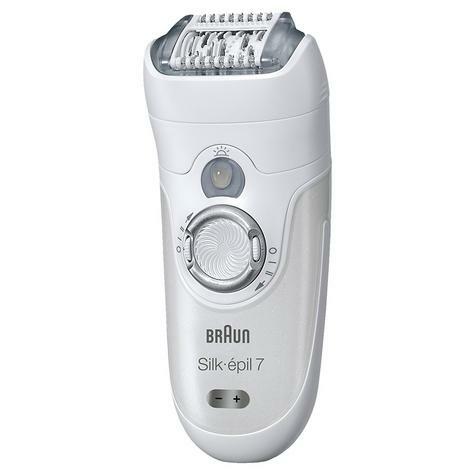 The Silk-épil 7 epilator is Braun’s most efficient on short hairs, providing silky smooth results that last up to 4 weeks. Designed with CloseGrip technology, 40 tweezers capture and remove unwanted hair from the root. The Silk-épil 7 removes hair as short as a grain of sand (0.5mm), 4x shorter than waxing. A smooth bikini line – without waxing. 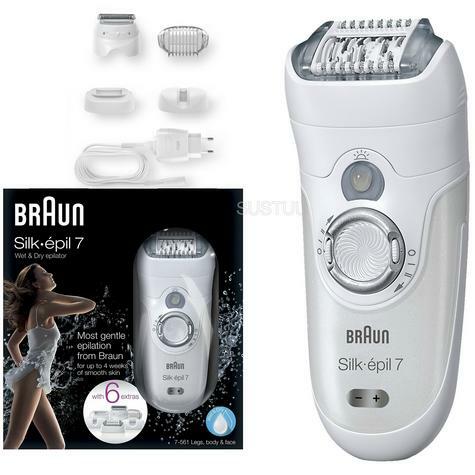 This Braun Silk-épil 7 beauty set includes a bonus trimmer. 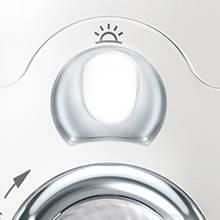 Designed to be handled like a pen, the rounded tips of the styler protect your delicate skin from nicks and irritation. As hair is cut short above the surface of the skin, there’s no need to worry about the irritation of red bumps caused by waxing. The Braun Silk-épil 7 is 100 per cent waterproof and can be used in the bath or shower. With regular use in water, epilation becomes virtually painless. Designed to follow every contour of your body for better skin contact in difficult areas and no missed patches. 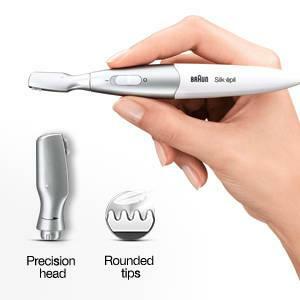 Reveals the finest hairs for extra thorough hair removal. 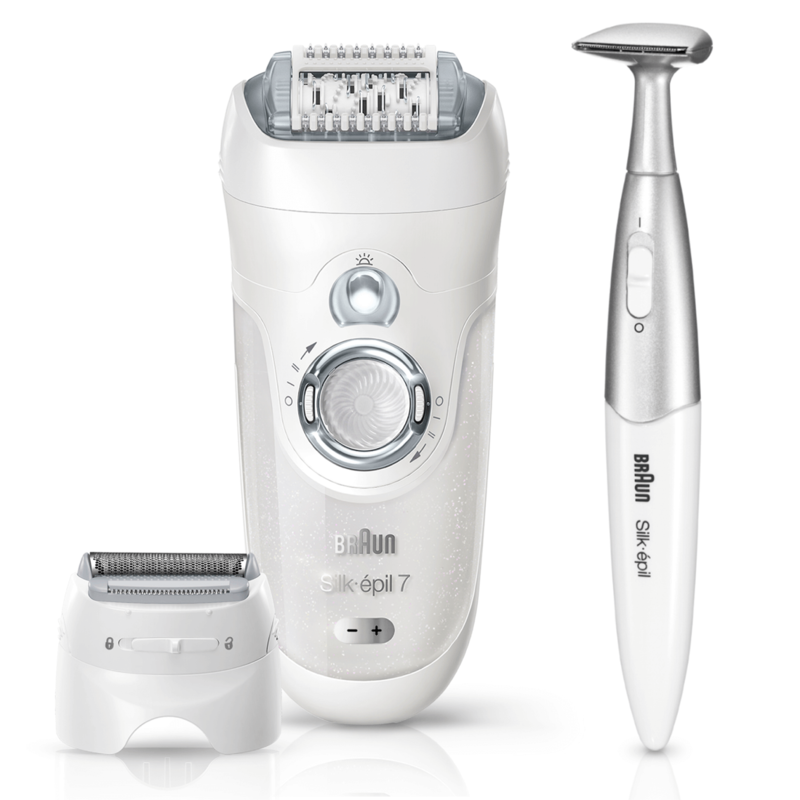 To turn your epilator into a fully functioning electric shaver. Ideal for use in sensitive areas. Braun’s most efficient epilator. The most gentleon skin. Includes shaver head and trimmer cap.